Corner sofa is very nice piece of furniture that we often see to place in restaurants, reception areas in offices, hospitals waiting lobbies and obviously in our homes; on garden decks. 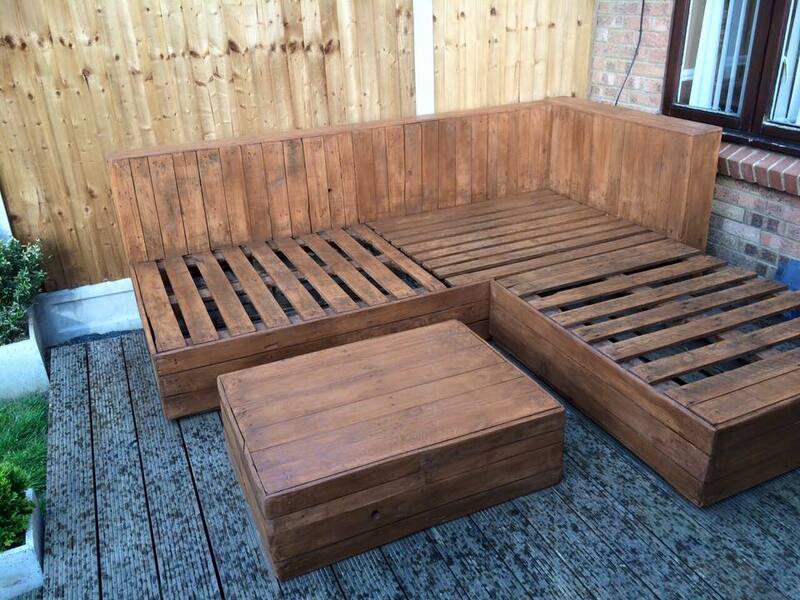 Here, you can see three different corner sofas that are very easy to construct using used pallets wood. This is basically a visual tutorial for you to understand how to work to make a stylish and attractive corner sofa made out of pallets wood. First of all take the dimensions and measurements of the place where you are going to place or construct corner sofa. Then arrange pallets of good quality; however, it would be your choice as pallets come in different quality standards but durable pallet would be better for sofa construction. Start arranging and jointing the structure of corner sofa as you can see in the picture here. Just make it sure that all the pallets stripes are equally jointed to make it look good and ordered. Centre table to be placed with corner sofa can also be prepared in the same way. In final look of corner sofa, you can see that foaming sheets are placed over corner sofas to make sofa couches. You would need to have pallets wood in bulk quantity to accomplish the construction project of corner sofa but it is really very easy. The given design and style of corner sofa is very simple but you can work for more attractive and stylish designs for corner sofa. 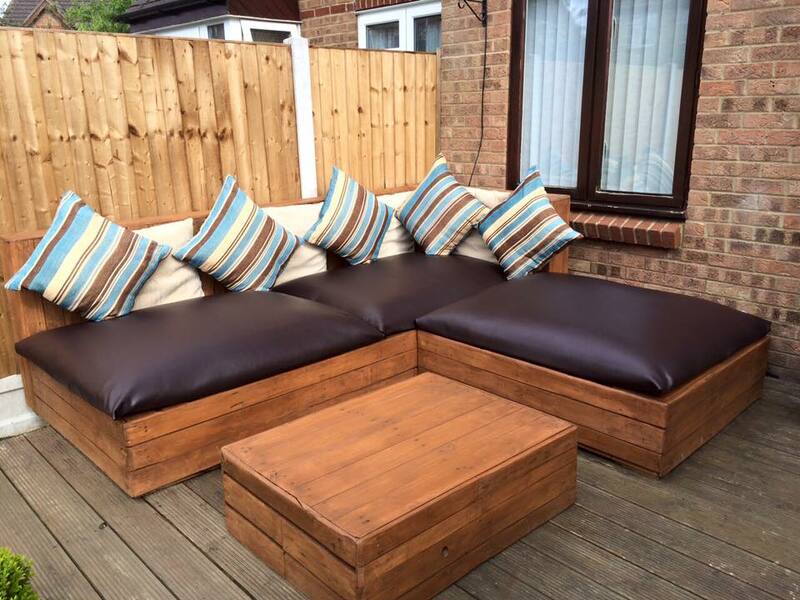 For this just make a search about DIY pallets furniture ideas and work on pallets wood to get beautiful corner sofa.